You don’t have to travel to Munich to celebrate the world’s largest beer festival. The original Oktoberfest runs from mid-September to early October each year and attracts millions of people annually. 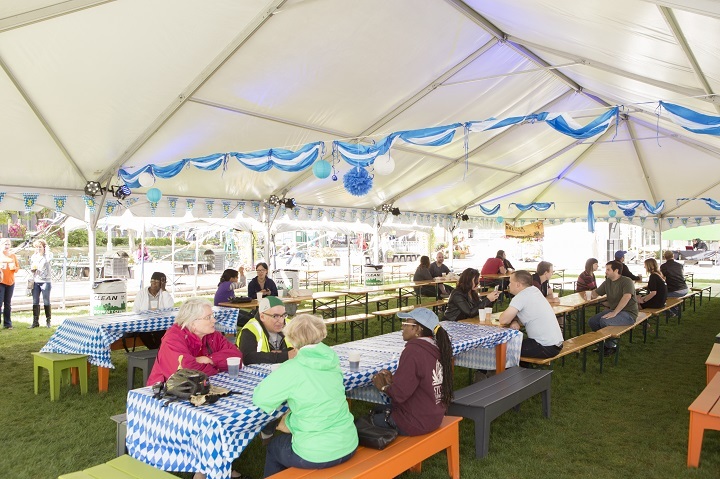 However, if you’re not able to make the trip to Germany to participate in the world-famous festival, there are plenty of options to get your beer and polka on right here in Detroit. Not quite sure where you should go? Here are your options, Detroit. Oktoberfest celebrations kicked off September 14 at the Dakota Inn Rathskeller with the ceremonial keg tapping. The keg tapping is an Oktoberfest tradition that signals the beginning of Oktoberfest in Munich. At this one, Dakota Inn owner Karl Kurz reads the proclamation and taps the keg. This year marks the restaurant’s 31st annual Oktoberfest celebration and its 85th year in business. The Dakota Inn was originally founded in 1933 by the current owner’s grandfather, who was looking to bring a piece of his homeland Bavaria to Detroit. So, if you’re looking for an authentic German experience for your Oktoberfest celebrations, this is the place to go. Admission is $3. Visit their website for more information. Head over to Beacon Park September 21 – 23 for the Downtown Detroit Partnership’s fourth annual Parktoberfest. Participate in Oktoberfest staples such as beer, German bands, food and dancing, as well as competitions that include stein hoisting and keg rolling. Families are welcome; the event will feature lawn games, kids’ activities and a root beer garden. Live entertainment is lined up back-to-back all three days, concluding at 7:00 p.m. on Sunday with the Lions vs. Patriots game on the big screen. The event runs from noon to midnight all three days. Admission is free. Visit the Detroit Downtown Parks website for more details, including a performance schedule. Batch Brewing Company and The Skip are teaming together this Oktoberfest to bring you Oktoberfest in The BELT. Head over to The Skip in The BELT alley (between Broadway and Library Street) on September 22 to join in on the festivities, which kick off at noon and go until 2 a.m. The Skip’s Oktoberfest celebration will include German food, German beer and live music. Batch Brewing will provide the beer. A portion of the proceeds will be donated to Hatch Detroit, an organization that supports independent retail businesses through funding, education, exposure and mentoring, according to its website. Visit the Facebook event page for more information. If you’re looking to get as much Oktoberfest celebrating in as possible, HopCat is offering not one, but two events for beer-lovers to enjoy. Join HopCat on September 23 from 10:00 a.m. to 10:59 p.m. for Hoptoberfest in Detroit and enjoy local and imported Oktoberfest beer, including beer from Hofbräuhaus, one of the six Munich breweries that can provide beer to the original festival in Germany. Get there early to grab a free custom Oktoberfest stein from Hofbräuhaus, and don’t be afraid to dress up in traditional German attire. Then, on September 25, HopCat will be introducing an Oktoberfest twist to its monthly beer dinner. 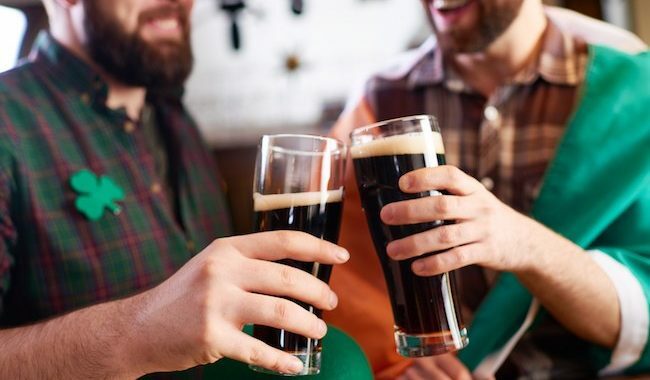 Make sure to purchase your ticket in advance to enjoy the five-beer, four-course meal, which will include German-inspired dishes such as beer cheese dip with homemade soft pretzels and sausage with kraut fritters. Tickets for the beer dinner can be purchased online. Detroit Shipping Company will be hosting the first of what owner James Therkalsen hopes to be an annual Oktoberfest celebration. Octobeerfest will take place September 29 from 1:00 p.m. to 6:00 p.m. and will feature live music, a ton of activities and, of course, lots of beer. “Imagine taking a fall fest and dropping it onto Cass Corridor and feeding it beers. That is this,” Therkalsen said. A variety of breweries and restaurants will be serving up food and drinks. Buy your tickets ahead of time or at the door to receive your sample tokens and a pint token. Pint tokens will be counted as votes for the Octobeerfest Cup. The winner will be the featured beer for the fall season. Fall-themed activities will include things like “true corn hole,” where players toss corncobs into oil barrels. Live entertainment will be provided by the Reefermen, the Whiskey Charmers and Karaoke with Robby Rob. There will also be activities for kids to enjoy. Octobeerfest is a family-friendly event that has a little something for everybody. “We’re an indoor/outdoor venue, so enjoy fall air, but duck inside for some food when you want. We’re dog friendly. Kid friendly. Friend friendly,” Therkalsen said. Tickets at the door have three price points: $7 for one pint token, $15 for three sample tokens and $30 for five sample tokens and one pint token. Advance tickets can be purchased online for $25 and will get you five sample tokens and one pint token. © 2019 Opportunity Detroit. All Rights Reserved.